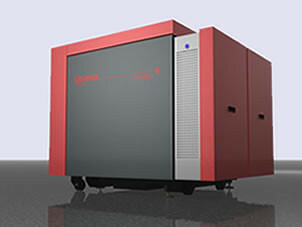 The latest calibr8tor 2000 series sets a new global benchmark for plot speed and image accuracy on features down to 10 μm. New optics, high-speed electronics and the new SmartRip double the plot speeds of our SilverWriter series. The high-speed load system converts this to the highest throughput of precision films in the market – without compromising accuracy or reliability. Up to 3 magazines can hold 450 sheets of film of 3 different sizes to give maximum plotting flexibility and cost control.